Compatible with Leviton QuickPort products or any standard keystone wall plate, surface box, or patch panel. 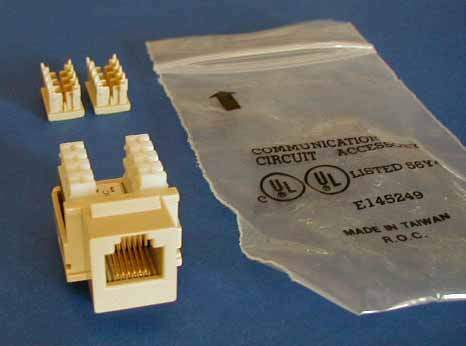 Known to many as RJ11 or RJ12 jacks. Standard size jack for 1, 2 or 3 telephone lines. No punch down tool required! Just snap down the cover!